It is very easy to prepare. Just mix with boiled water will do. You do not have to cook at all. 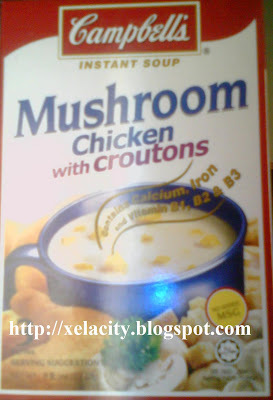 Among 4 available favours, I prefer the Campbell’s Instant Soup Mushroom chicken with croutons the most. 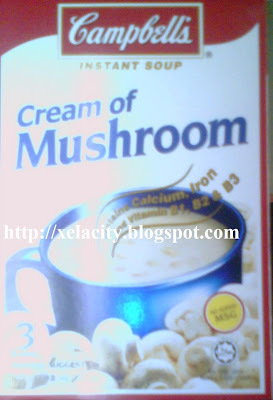 Followed by the Campbell’s Instant Soup Cream of Mushroom. 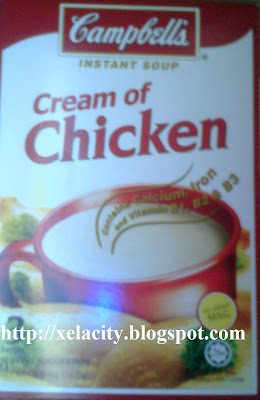 As for Campbell’s Instant Soup Cream of Chicken, I feel that the taste is not that nice, if compare with the above 2.